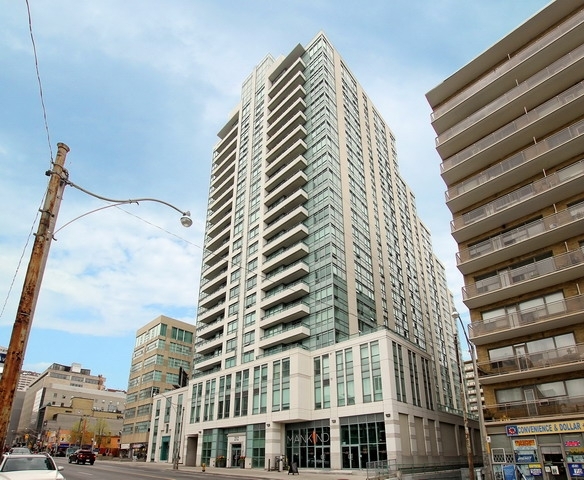 This condo building is located just 1 block east of Yonge Street and only a few steps to Mount Pleasant Road. Yonge & Eglinton a vibrant midtown neighbourhood is steps to everything you could want in city living. It is popular for its mix of independent shops, big box stores, awesome dining and great nightlife. Located in the heart of midtown you have easy access to the downtown core, TTC is right outside your door and the DVP & 401 are both just ten minutes away. Whether you desire a night out on the town or a bike ride through Sunnybrook Park, Yonge and Eglinton truly has it all! Panache showcases the very best design, with large windows to ensure that rooms are filled with natural light, without sacrificing privacy. Suite 1603 has a fantastic layout with unobstructed, panoramic downtown and midtown views. Panache features a variety of amenities, including a 24 hr concierge service, indoor swimming pool, sunbathing terrace, exercise facility, party room, and an area for barbequing. Suite 1603 is perfect for buyers that looking to up-size from a one bedroom suite, and investors seeking an income property. Urban chic living at the Panache!